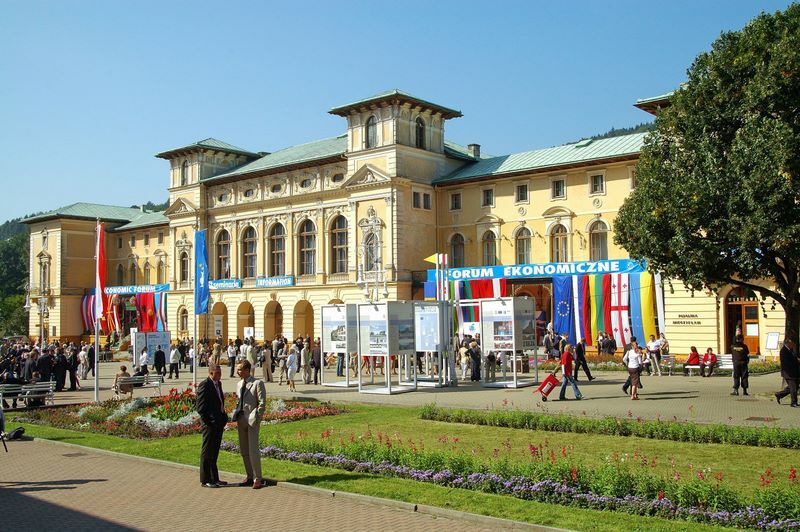 Political, economic, and intellectual elites of the middle-east Europe have participated in the Economic Forum in Krynica-Zdrój and have talked about the future of Europe and the rest of the world for several years. From its beginning, the Economic Forum in Krynica-Zdrój has been compared to the World Economic Forum held in Davos in Switzerland (because of many delegates from abroad and various events that take place then). 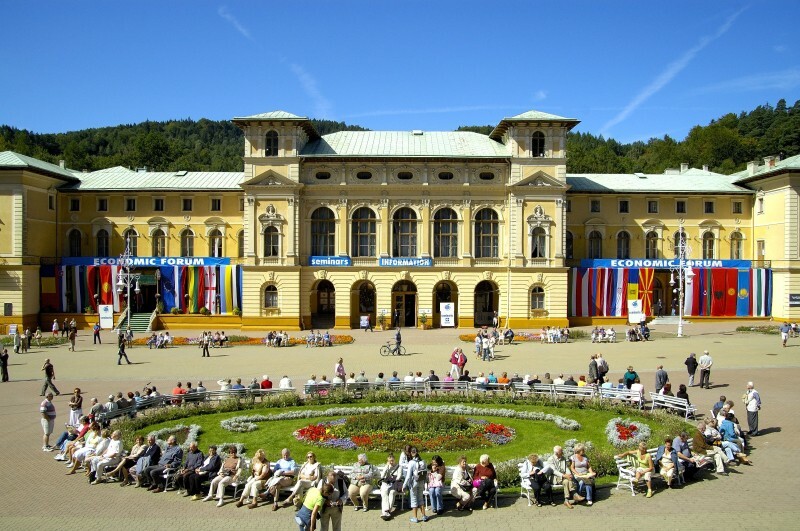 The idea of holding meetings in Krynica-Zdrój was conceived in 1992. From the very beginning its main organisator was the Foundation of the Institute of Eastern Studies in Warsaw. The first president of the Programme Council was Zygmunt Berdychowski – a famous social activist of Sądecka soil. Polish foreign politics of the time was mainly directed towards the integration with European structures. Eastern matters were rarely and rather reluctantly discussed in Warsaw. According to the originators of the Forum, part of the politicians was fully aware of the fact that the future position of Poland in Europe would be considerably dependent on the relations with the eastern neighbours – Belorussia, Lithuania, Russia and Ukraine. These countries, on the other hand, should have become convinced that Poland’s pro-western aspirations didn’t mean anti-eastern attitude. At the beginning, Forum was a place of the exchange of thoughts, ideas and propositions concerning Polish cooperation with neighbours. Such instructions and directions given by the environment of Paris ‘Culture’, especially by editor Jerzy Giedroyć were followed: ‘safety and constant development of Poland is dependent on Poland’s good relations with her neighbours’. First meetings in Krynica were about Polish eastern politics. First Forum took place in autumn 1992. It was attended by about 100 participants (mostly from Poland). That first ‘trial’ meeting of business and politics people was different from the meetings held nowadays – number of participants has changed, subject matters have changed as well as organisational potentiality. 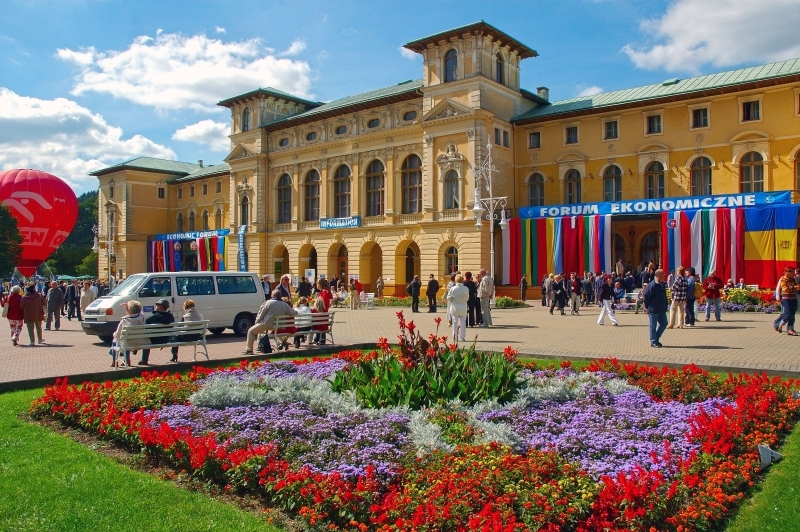 Form of the Forum in Krynica-Zdrój changes along with the changes in politics and economy of Europe. List of participating countries becomes longer and longer, each year of meetings brings new and up-to-date subjects to discuss. Representatives of over 40 countries from Europe, North America and Asia were present at the meetings of previous years. They discussed issues of international safety, economic cooperation, ecological threats and social and cultural changes.